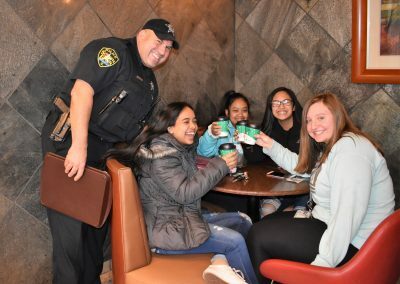 South Elgin| What better way to get to know the South Elgin Police Department than over hot cocoa. 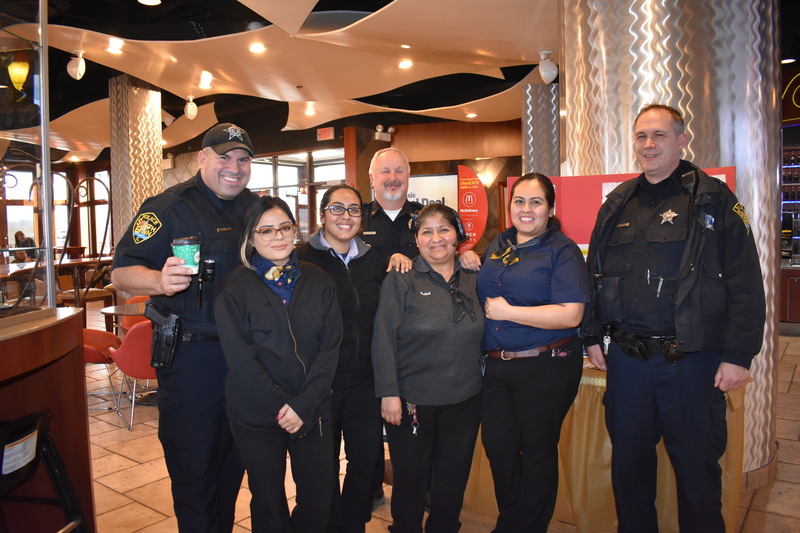 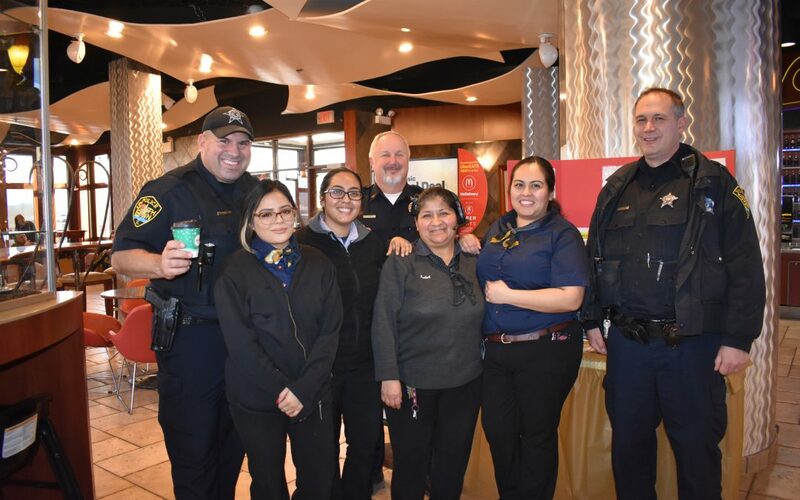 The Cocoa with a Cop event, hosted by South Elgin McDonald’s, on Wednesday, December 19, at 453 Redington Rd., which aimed to bring the community together did just that by serving up hot cocoa to customers. 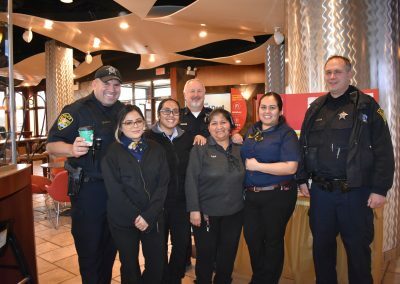 David Bear, owner-operator, of the South Elgin-based McDonald’s franchise, said that taking part in such community-building events help to bridge relationships between residents and the local police force. 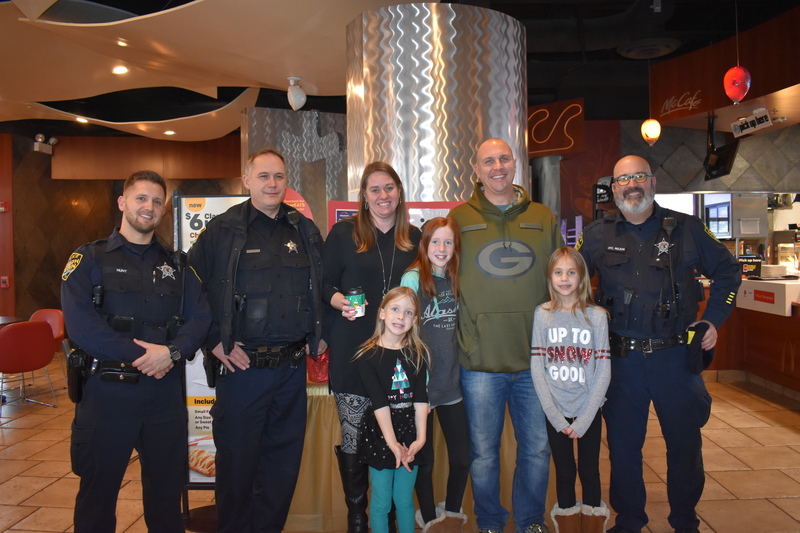 Bear says events like these are a great opportunity for residents to come up and ask questions. 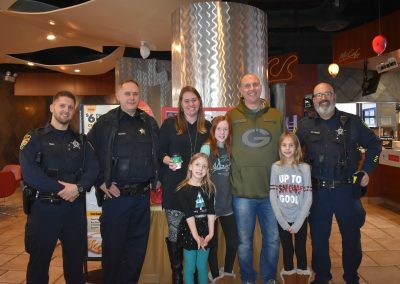 Sergeant Doty and Officers Creighton, Nelson, Christenson, and Hunt attended the event to personally meet and greet those in attendance, serve hot cocoa and give sticker badges to the children. 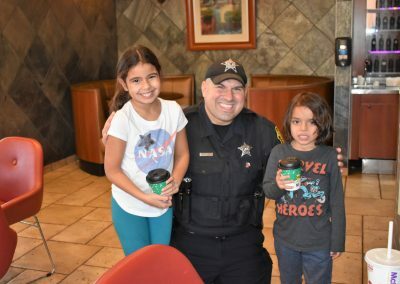 “We are proud of the role we have maintained in South Elgin, and we are happy to see the community and the local police department enjoying cocoa and conversation together. It’s just how winter should be.” Bear said. 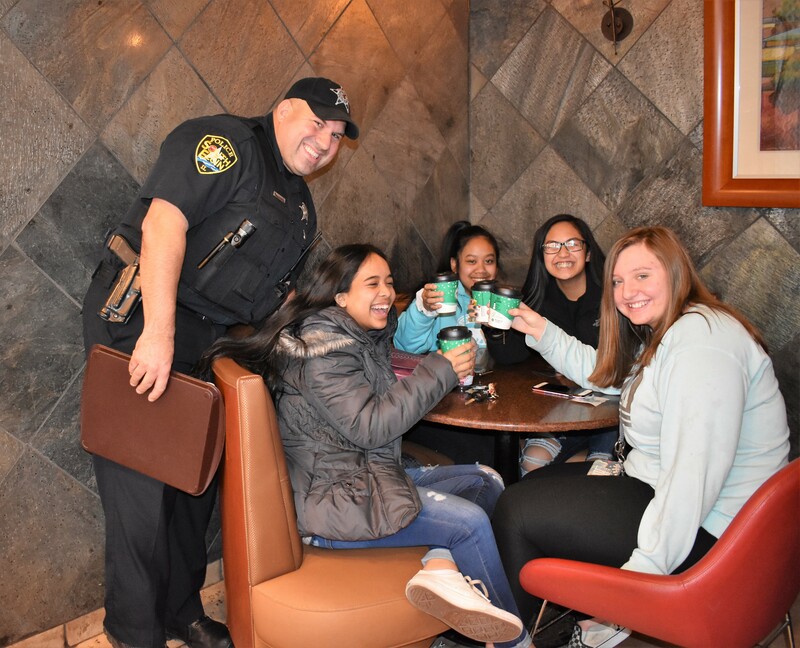 We are grateful to Officer Creighton, who contributed to the coordination of the Cocoa with A Cop event, and to all the officers who came to the event, helped serve hot cocoa, took pictures with the community members.